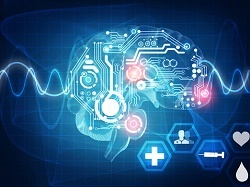 Pharmaceutical company UCB has announced that a new add-on treatment for adults with partial-onset seizures (POS), with or without secondary generalised seizures, will be available on the NHS in the UK. Briviact (brivaracetam) is an anti-epileptic drug that will provide patients with POS a new opportunity to better manage their seizures. In an international Phase 3 study of 768 patients uncontrolled on their previous medication, at 50mg dose twice daily against placebo, brivaracetam was shown to give significant seizure freedom compared with the patients’ usual medication. Patients also revealed the importance of reducing the titration period – 51% of patients who participated in an independent European treatment satisfaction survey said this was an important goal. The Brivaracetam clinical trials programme was one of the largest in epilepsy, with more than 3,000 patients taking part. About 600,000 (or one in 100) people are living with epilepsy in the UK and the number of cases is increasing, partly as a result of the ageing population. Additionally, only 52% of people treated for epilepsy are seizure-free, but that figure could rise to 70% with the right treatment. Around 10% of all A&E admissions are for convulsions and seizures, but less than half of these patients are referred to a specialist, and many may also not be receiving the optimal treatment for their epilepsy. Seizures, which often occur without warning, make it difficult for patients to lead a normal life, as well as hold down a job or relationship. The economic cost of epilepsy in England and Wales is estimated at £2 billion annually, 69% of which is due to indirect costs such as unemployment and mortality. Brivaracetam was granted European Medicines Agency authorisation for use within Europe and the UK on January 14, specifically for the treatment of POS, with or without generalised seizures.